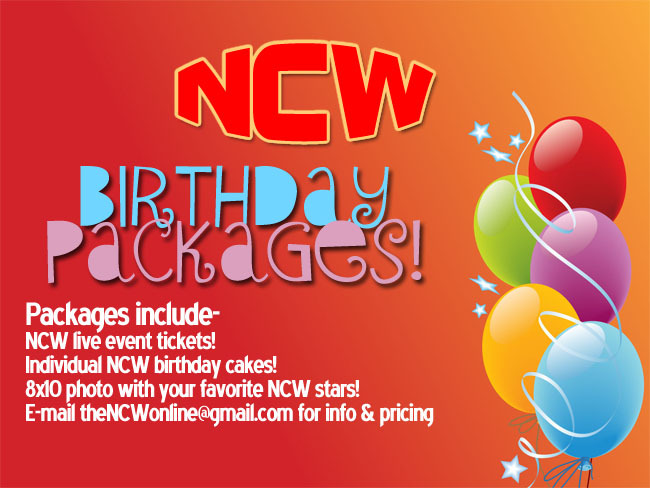 TONIGHT NCW Gets Red, White, & Bruised! 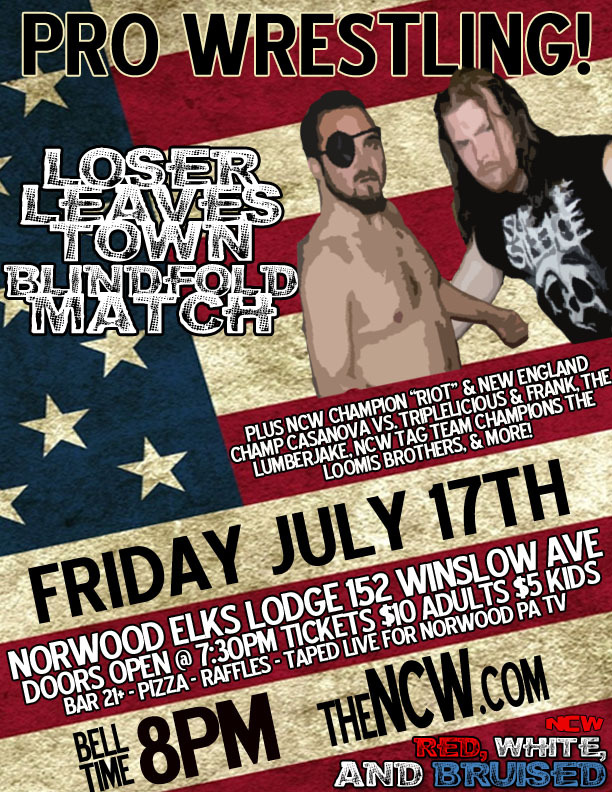 Tonight Northeast Championship Wrestling returns to the Elks Lodge in Norwood, Massachusetts [152 Winslow Avenue] for our summertime spectacular Red, White, & Bruised! “The Original Showoff” Mike Paiva will go one on one “Black Magic” Sean Feeney tonight in a Loser Leaves Town Blindfold Match, where one man will leave NCW forever. Also in action will be the NCW Heavyweight Champion “RIOT” Kellan Thomas & the new NCW New England Champion Christian Casanova will team up to face off with Triplelicious and Frank in tag team action. 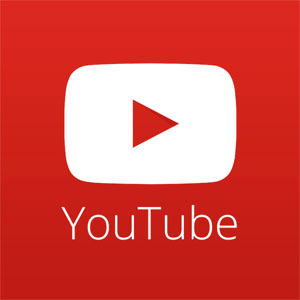 Any questions please e-mail theNCWonline@gmail.com.